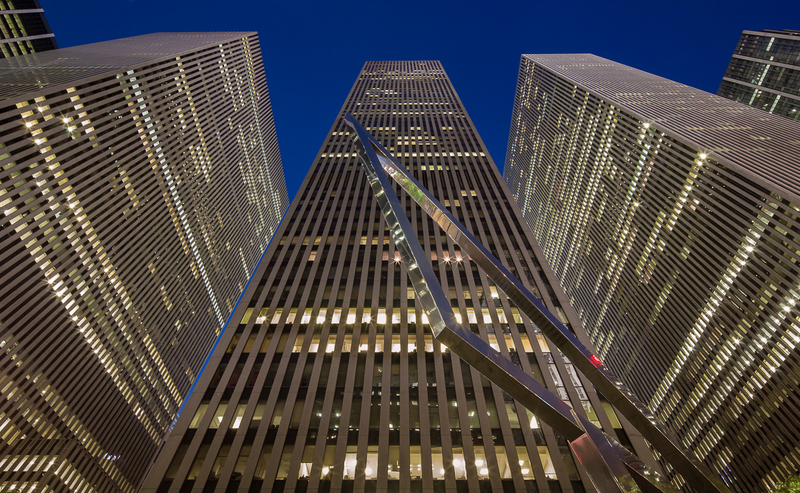 Rockefeller Group announced the completion of a lease for 49,000 s/f with White & Case at 1221 Avenue of the Americas, bringing the global law firm’s total occupancy to approximately 489,000 s/f on the top 10 floors of the Midtown skyscraper. White & Case is one of New York’s oldest and most prestigious law firms, with global operations in more than two dozen countries. The firm signed a long-term lease in 2014 and relocated to the building in 2017. Located between West 48th and West 49th Streets, 1221 Avenue of the Americas was developed in the modern expansion of Rockefeller Center to the west side of Sixth Avenue. The tenant was represented by Ken Siegel, Tom Doughty and Lisa Kiell of Jones Lang LaSalle. Rockefeller Group was represented by an in-house team led by Ed Guiltinan, along with a Cushman & Wakefield brokerage team led by Executive Vice Chairman Rob Lowe. In 2016, Rockefeller Group completed an approximately $50 million capital improvement program at 1221 Avenue of the Americas that updated the elevators and building systems and reimagined the lobby, entrances and outdoor plazas. Since the renovations were announced in 2013, the building has attracted more than 1.6 million square feet of new leases and renewals. The office space in 1221 Avenue of the Americas is approximately 97 percent occupied. The remaining available space in the building is approximately 25,000 s/f on a portion of the 15th floor and approximately 40,000 s/f on the entire 2nd floor, which has a vacant 350-seat auditorium and event space with direct escalator access from the building’s lobby. Designed by Harrison Abramovitz & Harris, 1221 Avenue of the Americas is home to restaurants Del Frisco’s and Oceana. The building is interconnected through a concourse level to all of Rockefeller Center and seven subway lines. The class-A building totals approximately 2.6 million square feet, and is among the largest buildings in Manhattan to achieve LEED-EB certification by the U.S. Green Building Council. It holds a Wired-Platinum score for its technology infrastructure from Wired NYC.